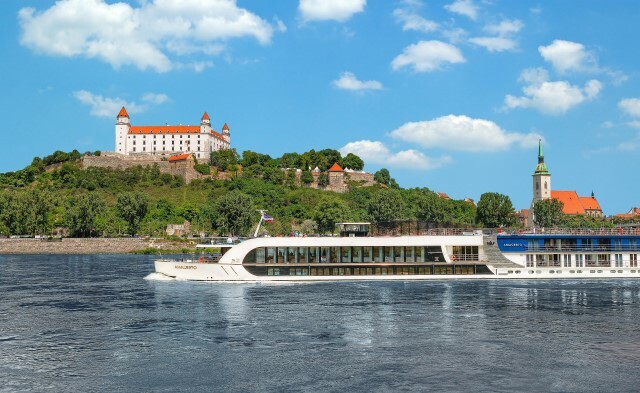 Cornwall, UK – 1st August 2014: AMA Waterways, a leading provider of cruise vacations on the legendary rivers of Europe, have selected Electronic Service and BSS ICT Group to install Packet Ship’s middleware solution for Guest Entertainment Services in their new River Boats, AMA Reina and AMA Sonata. Electronic Service and BSS installed Packet Ship’s ‘Guideline’ user interface solution as part of Electronic Service’s ‘Kingfisher’ product onto Apple iMacs supplied in each cabin, providing services such as live TV streaming, Video and Music-on-Demand, guest information and messaging, weather forecasts and more. Packet Ship’s ‘Guideline’ is easily skinnable and customisable, meaning AMA Waterways were able to keep the look of this interface consistent with their luxury branding, providing an enjoyable and visually appealing guest experience on their new vessels. “Packet Ship are a great, efficient team to work with, responding and performing tasks quickly but also to a high standard. We enjoyed implementing this project with them and BSS on these unique ships.” said Piet Kraaijeveld, CEO of Electronic Service.